Draft: 2009, New York Yankees, 15th rd. Resides in Clermont, FL during the offseason...Participates in the Detroit Tigers Autographed Memorabilia Donation and the Dreams Come True programs; donated funds to purchase art supplies for the art therapy program at Children's Hospital of Michigan; attended Keeping Kids in the Game; participated in the Wayne State Youth Baseball Camp and the Tigers Winter Caravan...Attended East Ridge High School in Clermont, FL...Went to the University of West Florida before transferring to Daytona State College. Completed his first full season as the team's closer in 2018, pitching in 66 games...Became the eighth Tigers pitcher (14th instance overall) to record 30-or-more saves in a season, and the first since Francisco Rodríguez had 44 saves in 2016...Ranked tied for fourth in the American League with 32 saves, while he was ninth with an 84.2 save percentage...Picked up his first four-out save of the season on May 8 at Texas…added a second four-out save on August 18 at Minnesota...Made 15 appearances in May, posting a 1-0 record with nine saves, a 2.35 ERA (15.1IP/4ER) and 17 strikeouts…ranked third in the American League with nine saves in May...Earned the save on June 16 at Chicago (AL), tossing a perfect ninth inning…was his fourth save in as many days, becoming the first Tigers closer to accomplish that feat since Todd Jones did so from June 30-July 3, 2000…the last Major League closer to do so was Milwaukee's Jeremy Jeffress from July 28-31, 2016...Sidelined from July 2-July 13 with a right shoulder strain...Notched his 30th save of the season on September 16 at Cleveland. Appeared in a career-high 71 games with Detroit in 2017...Ranked tied for sixth in the American League with 71 appearances...Allowed only nine of the 47 runners he inherited to score and finished second in the American League with a 19.1 inherited runners scored percentage (min. 40 inherited runners)...Recorded the 200th strikeout of his Major League career on April 30 vs. Chicago (AL), striking out Tyler Saladino in the seventh inning...Combined to pitch in 26 games in April/May and posted a 1-0 record with a 1.82 ERA (24.2IP/5ER) and 28 strikeouts... Named Tigers Pitcher of the Month for July after compiling a 1-0 record with a 0.00 ERA (10.2IP/0ER), giving up just five hits and striking out 12 over 13 appearances...Did not allow a run in a career-long 16.1 consecutive innings from July 1-August 12, a span that stretched 18 games...Compiled a 3-1 record with one save, a 1.36 ERA (33.0IP/5ER) and 36 strikeouts in 33 games at Comerica Park…posted a 1-2 record with eight saves, a 3.89 ERA (34.2IP/15ER) and 37 strikeouts in 38 road outings. Made an Opening Day roster for the first time in his career with the Tigers in 2015 -- split the season between Detroit and Triple A Toledo. Appeared in 18 games, including 16 starts, with the Tigers and had a 4-8 record with a 6.88 ERA (83.2IP/64ER) and 50 strikeouts. Became the first Tigers pitcher to start a season with three starts of 7.0-or-more innings, while allowing one-or-fewer earned runs since Jack Morris in 1984 -- through his first three starts, had a 3-0 record with a 0.39 ERA (23.0IP/1ER), 12 hits allowed and 11 strikeouts. Posted a 3-1 record with a 4.60 ERA (31.1IP/16ER) and 20 strikeouts in five starts in April. Optioned to Triple-A Toledo by the Tigers on June 12 -- compiled a 1-1 record with a 3.86 ERA (35.0IP/15ER) and 21 strikeouts over seven starts in Toledo. Recalled from Triple-A Toledo by the Tigers on July 12. Sidelined from August 9-October 5 with a right hand vascular condition. Underwent season-ending surgery for a pseudoaneurysm on August 27...the surgery was performed by Dr. Greg Pearl in Dallas, Texas. Posted a 2-3 record with a 5.05 ERA (46.1IP/26ER) and 24 strikeouts in nine appearances, including eight starts, at Comerica Park...recorded a 2-5 record and a 9.16 ERA (37.1IP/38ER) and 26 strikeouts in nine games, eight starts, on the road. Compiled a 4-7 record with a 6.32 ERA (72.2IP/51ER) and 46 strikeouts prior to the All-Star break...made four appearances, two starts, with a 0-1 record, a 10.64 ERA (11.0IP/13ER) and four strikeouts after the All-Star break. Lefthanded hitters posted a .363 (65 for 179) average...righthanders batted .245 (38 for 155) against him. Appeared in 15 games (14 starts) during four separate stints with the Yankees in 2014...Averaged 9.27 strikeouts per nine innings -- the fourth-best mark among major league rookies (min. 75.0IP)...Assigned to Triple-A Scranton Wilkes-Barre to begin the season...Recalled from Scranton Wilkes-Barre by the Yankees on April 9 -- did not appear in a game before having his contract optioned back to Triple A on April 13...Recalled from Scranton Wilkes-Barre by the Yankees as the 26th man on April 16 but did not play, before having his contract optioned back to Scranton...Recalled from Scranton Wilkes-Barre by the Yankees on April 24 and made his major league debut that night at Fenway Park -- allowed three runs (zero earned runs), while walking three and fanning one in 0.1 innings of work...Optioned to Triple A Scranton Wilkes-Barre by the Yankees on April 26...Compiled a 3-2 record, a 4.60 ERA (29.1IP/15er) and 23 strikeouts in six starts during May...Recalled from Scranton Wilkes-Barre by the Yankees for the remainder of the season on July 7 and made his first career start that same night -- earned his first major league win by allowing just two runs on four hits over 6.0 innings of work...According to the Elias Sports Bureau, Greene is the first pitcher in Yankees franchise history to earn a win in his first start, while tossing at least 6.0 innings and allowing four-or-fewer hits without walking a batter...Earned his second straight victory on July 12 at Baltimore by throwing 7.1 scoreless innings, allowing just four hits -- according to the Elias Sports Bureau, he is the first Yankees pitcher to toss at least 6.0 innings, while allowing four-or fewer hits in each of their first two starts...Fanned a season-high 10 batters on August 16 at Tampa Bay -- walked only one batter in the outing to become one of only five rookies in Yankees franchise history to fan at least 10 while issuing one-or-fewer walks...Compiled a 2-0 record, and a 2.93 ERA (30.2IP/10er) in five starts during August...Posted a 4-0 record, a 2.70 ERA (36.2IP/11er) and 44 strikeouts in seven games (six starts) on the road. Combined to go 12-10 with a 3.38 ERA (154.1IP, 58ER) in 27 games (26 starts) with Single-A Tampa and Double-A Trenton… led all Yankees minor leaguers in wins, ranked third in strikeouts (137) and fourth in ERA. Began the year with Tampa, going 4-6 with a 3.60 ERA (75.0IP, 30ER) in 13 starts. Was promoted to Trenton on 6/17 and went 8-4 with a 3.18 ERA (79.1IP, 28ER) in 14 games (13 starts). Attended spring training with the Yankees as a non-roster invitee, going 0-1 with a 27.00 ERA (1.1IP, 4ER) in two relief appearances. Was added to the Yankees' 40-man roster on 11/20/13. Spent the entire 2012 season with Class A Tampa, appearing in 24 games...Named the Florida state League's pitcher of the week for the week ending June 10 -- did not allow a run in 7.0 innings pitched in his start on June 9 versus Daytona...Compiled a four-game winning streak June 9-July 25...Suffered the loss in each of his last five decisions on the season...Posted a 4-7 record, a 5.22 ERA (112.0IP/65er) and 101 strikeouts in 24 games (23 starts) on the season. Appeared in a career-high 27 games as he spent the entire 2011 season with single A Charleston...Finished second among all Yankees minor leaguers with 128 strikeouts on the season...Fanned a season-best 10 batters on April 28 at Lakewood...Compiled a 0-4 record, a 2.00 erA (27.0IP/6er) and 22 strikeouts in five starts during June...Suffered the loss in seven straight decisions May 9-June 30...Sidelined July 13-24 with a right digit three laceration...Compiled a 5-14 record, a 4.37 erA (138.0IP/67er) and 128 strikeouts in 27 starts with Class A Charleston. Completed his second season of professional baseball in 2010, splitting the season between single A Staten Island and Class A Charleston...Made 10 starts with single A staten Island compiling a 2-6 record, a 4.58 erA (49.0IP/25er) and 44 strikeouts...Had his contract transferred to single A Charleston on August 22 -- appeared in four games with Charleston, compiling a 0-2 record, a 4.58 ERA (19.2IP/10er) and 22 strikeouts. Selected by the Yankees in the 15th round of the June 2009 draft and made his professional debut with the GCL Yankees...Posted a 1-2 record, a 5.87 ERA (23.0IP/15er) and 20 strikeouts in 13 relief appearances. July 13, 2018 Detroit Tigers activated RHP Shane Greene from the 10-day injured list. June 4, 2016 Detroit Tigers activated RHP Shane Greene from the 15-day disabled list. May 25, 2016 Detroit Tigers sent RHP Shane Greene on a rehab assignment to Toledo Mud Hens. May 20, 2016 Detroit Tigers sent RHP Shane Greene on a rehab assignment to West Michigan Whitecaps. October 5, 2015 Detroit Tigers activated RHP Shane Greene from the 15-day disabled list. August 18, 2015 Toledo Mud Hens placed RHP Shane Greene on the 7-day disabled list. July 12, 2015 Detroit Tigers recalled RHP Shane Greene from Toledo Mud Hens. June 12, 2015 Detroit Tigers optioned RHP Shane Greene to Toledo Mud Hens. December 5, 2014 Arizona Diamondbacks Traded SS Didi Gregorius to New York Yankees; Detroit Tigers Traded 2B Domingo Leyba and LHP Robbie Ray to Arizona Diamondbacks and New York Yankees Traded RHP Shane Greene to Detroit Tigers. July 7, 2014 New York Yankees recalled RHP Shane Greene from Scranton/Wilkes-Barre RailRiders. April 26, 2014 New York Yankees optioned RHP Shane Greene to Scranton/Wilkes-Barre RailRiders. April 24, 2014 New York Yankees recalled Shane Greene from Scranton/Wilkes-Barre RailRiders. April 17, 2014 New York Yankees optioned RHP Shane Greene to Scranton/Wilkes-Barre RailRiders. April 16, 2014 New York Yankees recalled Shane Greene from Scranton/Wilkes-Barre RailRiders. April 14, 2014 New York Yankees optioned RHP Shane Greene to Scranton/Wilkes-Barre RailRiders. April 9, 2014 New York Yankees recalled Shane Greene from Scranton/Wilkes-Barre RailRiders. March 28, 2014 New York Yankees optioned RHP Shane Greene to Scranton/Wilkes-Barre RailRiders. November 20, 2013 New York Yankees selected the contract of Shane Greene from Trenton Thunder. July 14, 2013 Shane Greene roster status changed by Trenton Thunder. July 8, 2013 Trenton Thunder placed RHP Shane Greene on the 7-day disabled list retroactive to July 6, 2013. June 17, 2013 RHP Shane Greene assigned to Trenton Thunder from Tampa Yankees. 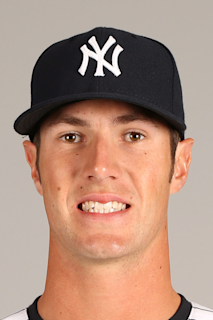 January 31, 2013 New York Yankees invited non-roster RHP Shane Greene to spring training. June 3, 2012 Shane Greene assigned to Tampa Yankees from Staten Island Yankees. May 12, 2012 Shane Greene assigned to Staten Island Yankees from Tampa Yankees. April 5, 2012 Shane Greene assigned to Tampa Yankees from Charleston RiverDogs. July 24, 2011 Shane Greene roster status changed by Charleston RiverDogs. July 14, 2011 Charleston RiverDogs placed RHP Shane Greene on the 7-day disabled list. August 21, 2010 RHP Shane Greene assigned to Charleston RiverDogs from Staten Island Yankees. June 18, 2010 Shane Greene assigned to Staten Island Yankees from GCL Yankees. June 23, 2009 Shane Greene assigned to GCL Yankees from New York Yankees. June 21, 2009 New York Yankees signed RHP Shane Greene.